About to launch. He stomped it too. When it comes to hitting the big backcountry lines, I usually choose the conservative way down. I like it steep and deep but some people are looking to go big. There are lots of natural hits and drops here in the Hakuba back country and there is something that will test even the most extreme skiers and boarders of the likes of Jeremy Jones or professional free skier Takehiro Sakamoto (pictured). With the word out about Hakuba we are going to see a lot more of this action taking place. 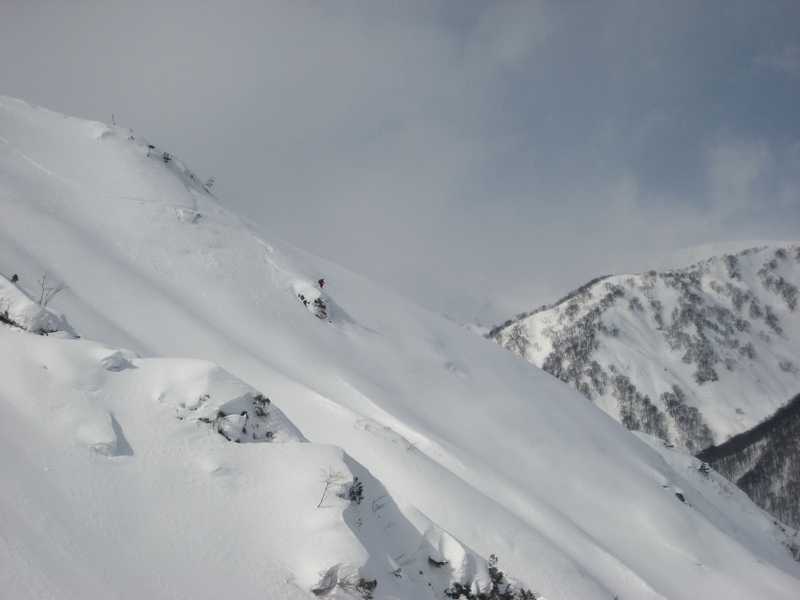 This entry was posted in Backcountry, Hakuba, ski and snowboard, snow and tagged Backcountry, big hits in hakuba, Natural hits, ski japan, snowjapan, steep and deep. Bookmark the permalink.